The revised motorbike licence system is difficult to get your head round but here we’ve tried to break it down into some manageable chunks. If you want to ride a motorbike then you need a provisional Category A licence. It’s the first step to getting on the road. If you already have a full car licence then you don’t need to get a provisional. Before you can get on a moped, scooter or motorbike on the road you need to complete your CBT. This is not a test but training to ensure you’re safe to ride on the road, and if your assessor or trainer thinks you’re safe enough, you’ll be granted a DL196 certificate to show you’ve completed your CBT. Your CBT is valid for two years and if you do not go on to get a full motorbike or moped licence in that time, you’ll have to do your CBT all over again and get a new DL196 certificate. Once you’ve been awarded your CBT certificate you’re free to get on the road on a moped or motorbike up to 125cc and 11Kw (14.8bhp) with Learner plates for two years. You’re not allowed to carry passengers. Before you can move on to take a Practical Motorcycle test, you need to pass the Motorcycle Theory Test – a two-part examination. The test includes a 50-question examination and a Hazard Perception test. Like your DL196 certificate, your Theory test certificate is only valid for two years, and if you don’t pass a Practical Motorcycle Test before it expires, you’ll have to do it all again. Once you’ve passed your Theory test and you’re aged 16 or above, you can take the AM Moped licence test. If you pass the AM Moped Licence test, you can ride a moped with a maximum engine capacity of 50cc, and a top speed of 28mph, without Learner plates and with a passenger. Once you’re 17, you’ve completed your CBT and passed your Motorcycle Theory test, you can move forward and take the A1 Motorcycle Licence – whether you have held an AM Moped Licence for two years or not. 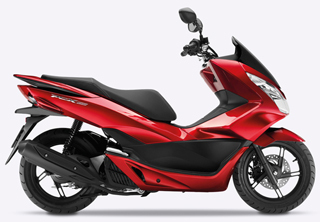 This licence allows you to ride a motorbike or scooter with an engine capacity of up to 125cc and 11Kw (14.8bhp) without Learner plates and with a passenger. After two years with an A1 Motorcycle Licence, you can move up a level again and take the A2 Motorcycle Licence. When you reach 19 you can take the A2 Motorcycle Licence test if you have held an A1 Motorcycle Licence for two years. You can also go via the Direct Access route which means completing your CBT, passing your Theory Test and the Practical Tests – even if you haven’t held your A1 licence for two years – just make sure you’re aged 19 or over! When you pass your A2 Motorcycle Licence test you can ride any A2 category bike – a motorbike with an output of 47bhp. The test must be carried out on a motorbike of at least 400cc with a power output of between 33bhp and 47bhp. After holding an A2 Motorcycle Licence for two years you can get an Unrestricted A Motorcycle Licence. This king of the Motorcycle Licences allows you to ride any motorbike or scooter with, as the name suggests, no limit on size, power or output. You can also take the Unrestricted A Motorcycle Licence test via a Direct Access route, as long as you are aged 24 or over and have completed your CBT, Theory tests and a practical test. If you’re not 24 and haven’t held an A2 Licence for two years then you will have to wait until you’re old enough – alternatively you can look to do another practical test for less powerful bikes in the meantime.